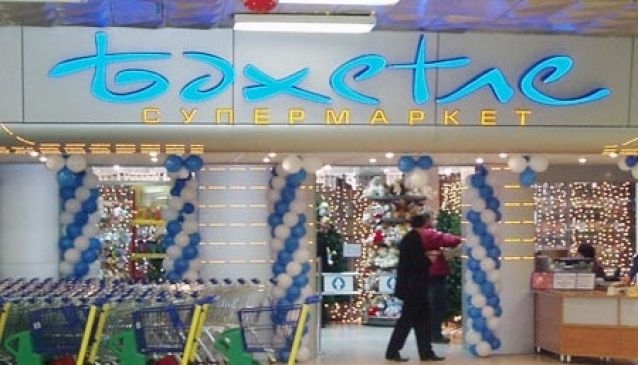 The supermarket chain 'Bahetle' was originally opened in Tatarstan and is currently the leader in the retail market there. The first 'Bahetle' in Moscow was opened in 2006. Currently the company has 26 stores and is famous for its homemade products. More than 40% of its turnover is cooked food for takeaway of more than 1200 dishes, including confectionery, bread, salads, and meat and fish dishes. You can buy expensive fine wines and cognacs, horse meat, live fish, exotic fruits and even homemade soups in jars. There is also a special department for people with diabetes that offer special cookies, candies, jam and other 'safe' sweets.